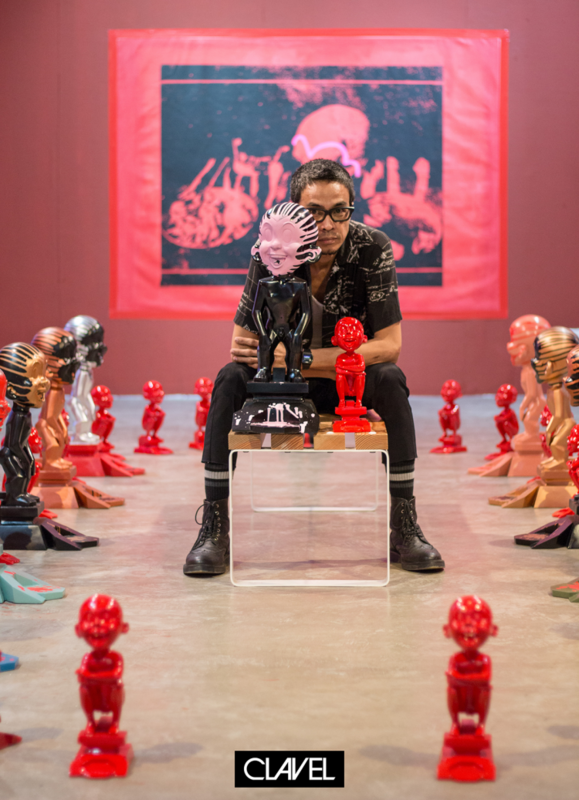 Kiko Escora, also known as Manila Animal, had his successful show at Secret Fresh art gallery with a collection called Kenkoya, a commentary on Filipino psyche. In 1977, a comic icon named Francisco “Kenkoy” Harabas was created as a parody of how colonial Filipino minds can be. The collection is a representation of how the notion applies in the present times. It then showcased miniature ancient sculptures called Bulol. Kiko made a toy out of bulols to represent the way the Filipino culture is being treated nowadays. 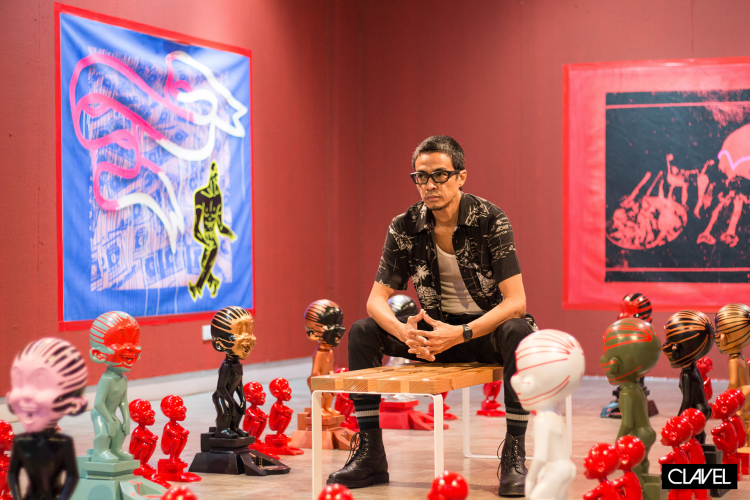 The show has its own way of encapsulating the other side of Kiko’s societal and political mind. But who is Kiko Escora and how is he different from his pseudonym, Manila Animal? 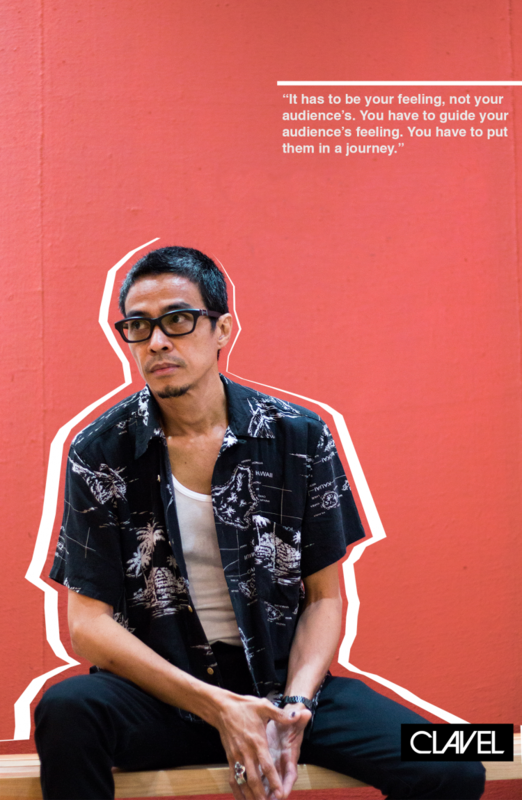 When asked, Kiko answers: that Kiko Escora lives within the confines of charcoal, paint, and portraits, and Manila Animal, on the other hand, reinvents itself with new mediums and other works of art from a different perspective–and this is where they meet halfway. Kiko shared little snippets of his childhood when his father first introduced him to the color wheel and told him to match the colors with songs. This childhood moment made him realize that that’s it, this is what he wanted to do. “I never thought that I wanted to be an artist. I just started doing it. And I really like it. Like a default thing. At the back of your head, you know already what you are. In my case, that’s it,” says Kiko. 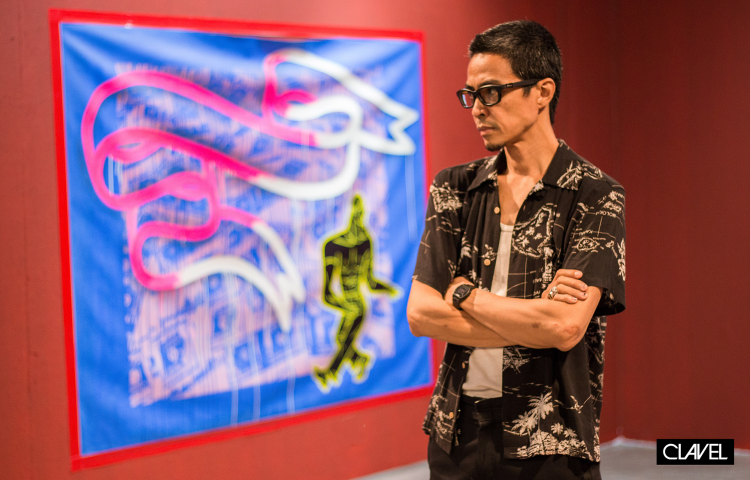 As a kid, Kiko started with sketching Hot Wheels–his collection of toy cars. It happened to be in front of him, so he started sketching it and playing around with the perspective; side view, front view, and top view then eventually three dimensional. Has it become a ritual to find the right playlist before creating your art? How do you set the mood right? 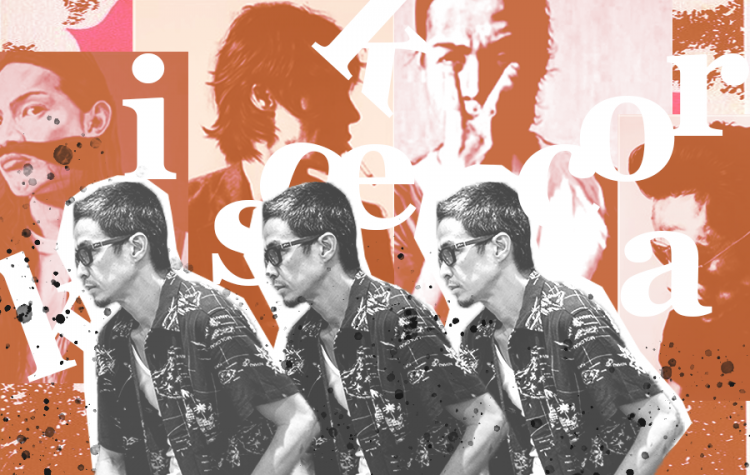 Music, for Kiko, is an indulgence. We put some of his necessary tunes that kickstart his mood right. Listen to some The Smiths, The Cure, Bloc Party and some hidden gems of New Wave and Classic Punk. Every art show and exhibit you have is different; different signatures of Kiko Escora. How do you steer yourself into a new perspective? How do you propel yourself to new mediums and tools? You are also recognized as Manila Animal the DJ. How did you enter the world of late night deck-spinning? What do you love best about spinning? How would you co-relate it to your art? Kiko Escora continuously puts his audiences on a different journey, in whatever medium; music or fixed gear frames or canvas, each medium impends a surprise. In the artist’s mind, nothing is predictable.